I finally got around to optimizing my FET-based eTap2HW, the one with automation. (I also have a manual eTap2hw that I already optimized a while ago now). This could all get very tedious but thankfully Steve Mitchell came up with a fairly straightforward ‘flow chart’ approach that will get your FETs biased nicely with the minimum of trial and error. Steve has kindly produced a set of ‘Bulletins’ that explain what’s required. You can download these over on Piet Verbruggen’s Echotapper blog. The ones required for optimizing your FETs are Bulletins 1 and 2 and Bulletin 5 is worth following as well as it improves the gain of the FETs and reduces the white noise or hiss that some people find problematic, especially for recording. While I had the unit opened up I decided to make a few modifications I’d been thinking about doing for a while. 1. 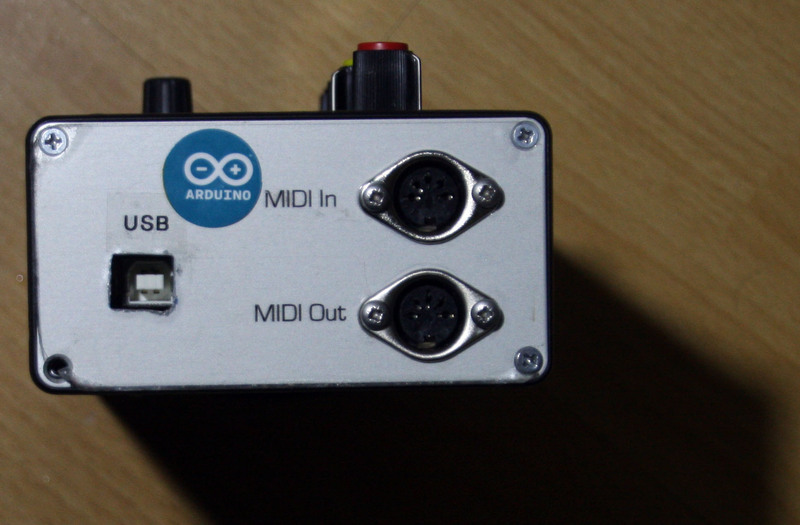 First up, I decided to cut a small opening in the end panel directly opposite the USB connector on the Arduino so I could easily connect the unit to my PC whenever I wanted to update the firmware and when I’m using the Librarian software to backup my patches and arranging them into a set list. Before this I had to unscrew the end panel to get access to the USB connector which was inconvenient. 2. My second modification replaced the ‘Wet’ output mono 1/4″ jack socket with a stereo jack socket that will accept the patch change foot pedal I described in an earlier post. I never found a use for a ‘Wet only’ output signal so this jack socket was never used and it was easy to replace it with a stereo TRS 1/4″ socket. The sleeve (S) connects to Ground, the tip (T) goes to the ‘Up’ switch and the ring (R) goes to the ‘Down’ switch. 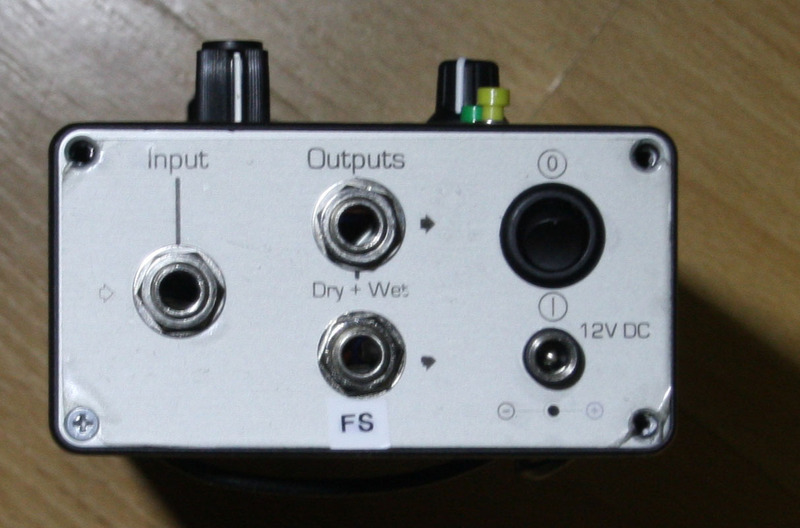 The footswitch socket labelled FS. 3. My original tactile push buttons were beginning to play up. Frankly I wasn’t surprised as I had always thought this type of little ‘clickety-click’ switch wouldn’t be very durable and so it proved. I decided to remove the strip-board sub-assembly that held all five switches and replace the Edit and Mem switches with panel mounted miniature momentary push buttons. The old buttons on their strip-board sub-assembly. I was able to retain the ribbon cable and connector and make up a suitable matching connector for the new switches and patch change wiring. As I was going to be adding a rotary encoder I no longer needed the Up, Down and Select buttons so the holes for the up and down were plugged with a couple of little rubber grommets that I happened to have lying around and the rotary encoder went in the hole where the Select button used to be, after enlarging it with a reamer. The new switches and rotary encoder. Colour coding will help me remember which switch is which! Note the neat little blanking plugs. 4. I’ve described how to add a rotary encoder to the eTap in a previous post and I followed that when adding the new encoder to this project. 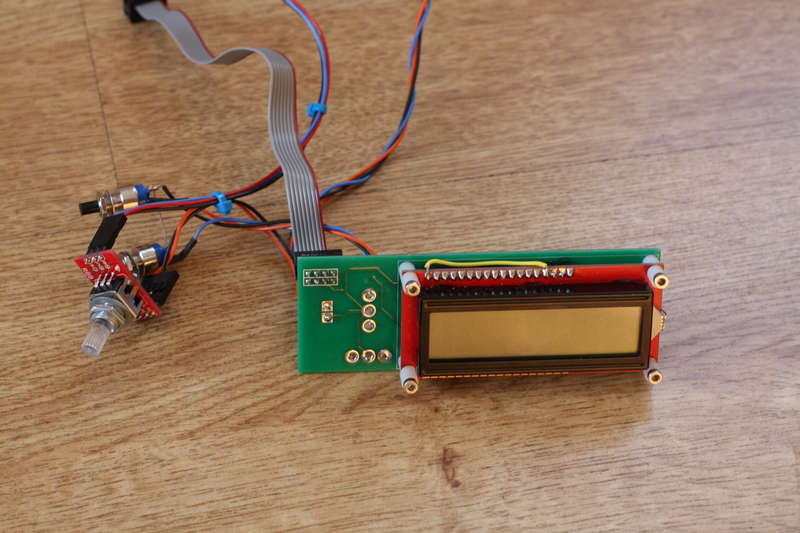 The Sparkfun breakout board makes it easier to wire the encoder. I used an RGB encoder even though I don’t use the built-in LEDs as this type has a mounting bush to fit it to the front panel; other cheaper variants can’t be easily panel-mounted. I really recommend the rotary encoder as an alternative to punching the up and down buttons like a mad thing when choosing patches or editing the patch name! 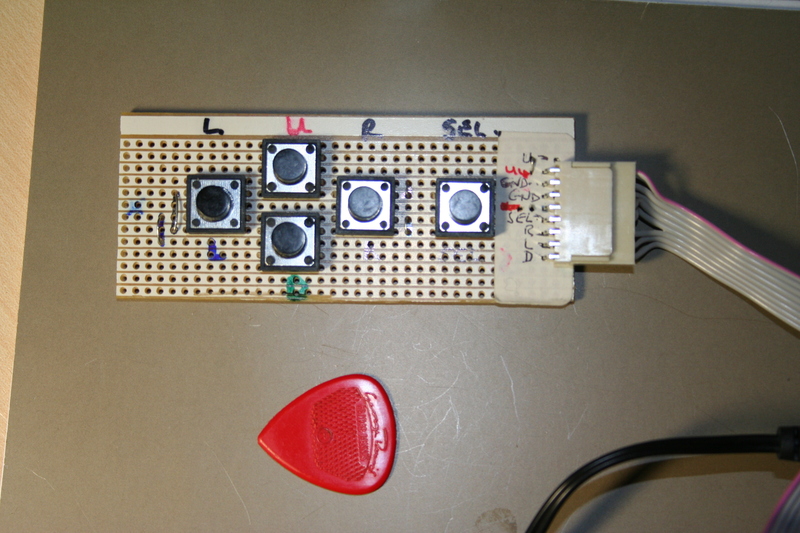 Buttons and rotary encoder on its breakout board. And here’s the EchoTapper Vintage Echo Unit with all it’s mods and optimizations completed. Catalinbread ECHOREC pedal shown for size comparison. 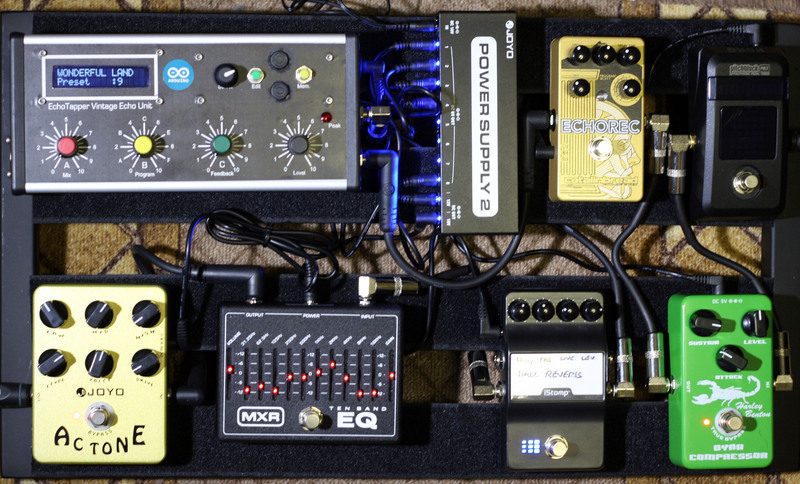 This entry was posted in FET, Hardware, How To ... on January 21, 2015 by guitarphil.